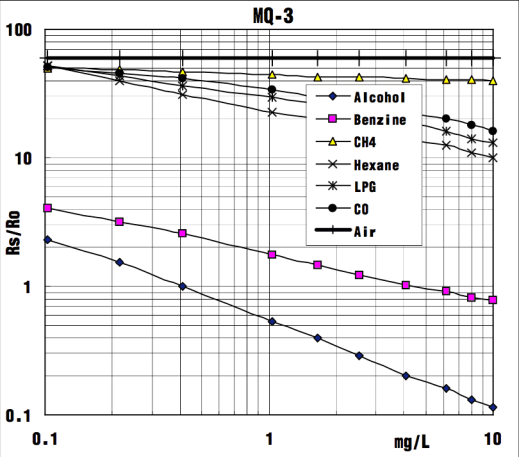 * High sensitivity to alcohol and small sensitivity to Benzine . They are suitable for alcohol checker, Breathalyser. 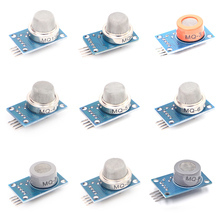 Open the serial monitor of Arduino IDE. Write down the value of R0 – this is required for the next sketch example. Please write down the R0 after the reading stabilizes. Replace the R0 below with value of R0 tested above . Expose the sensor to any one of the gases listed at the start.